She is located in the corner of Leicester’s Town Hall Square at Every Street and Horsefair Street. 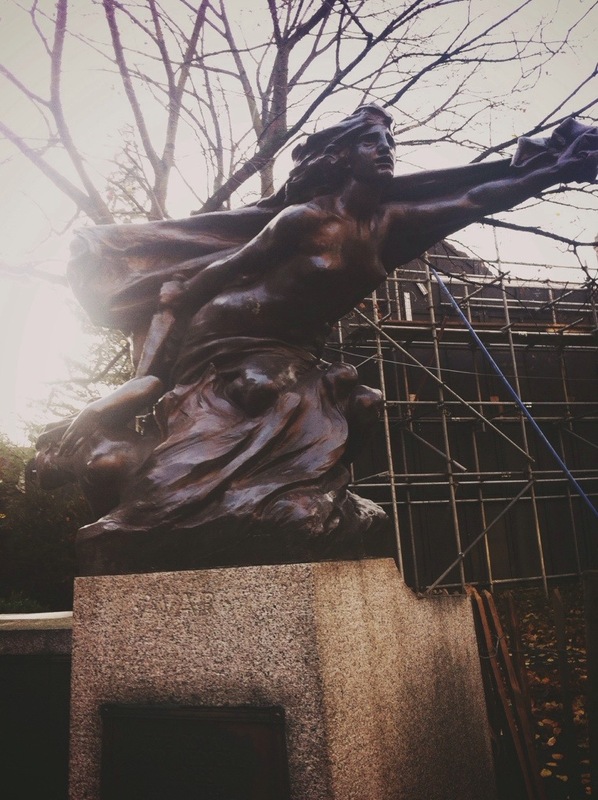 One of three figures that make up the city’s South African War Memorial. Her sisters are Grief and Peace. Each one atop her own large granite pedestal. The monument was designed by John Breedon Everard and the figures were sculpted by Joseph Crossland McClure. Paid for by public subscription it was unveiled in July 1909. It was placed here to remind passersby of the 300 plus Leicestershire men killed in the Second Boer War, the South African War, between October 1899 and May 1902.